Do you have head lice? Does your child have a lice infestation? Don’t worry, just call The Lice Place and get the most effective solution to your problem. We are your head live removal experts in Texas and now expanding outside of the state to help families get rid of nits and lice. Whether you are looking for a pesticide free lice treatment or need non-toxic Dallas Lice Removal Products, we provide a variety of services and products at affordable rates. All of our lice removal products are formulated with natural essential oils and ingredients that have been proven to help eliminate lice effectively and safely. From a TLP Mousse, designed to dissolve nit glue to a TLC mint spray, From a TLP terminator comb to a goody brush with copper plated bristles, we offer a complete range of lice removal products to safeguard your family from lice. All these products are available at affordable prices and you can order them easily online. 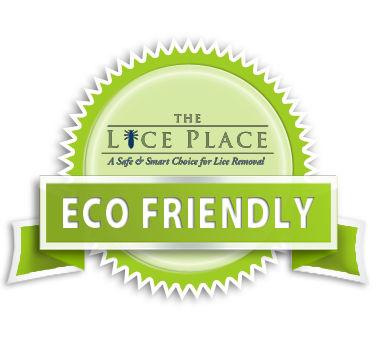 The Lice Place is a well established company in Dallas. We have been providing our services for years. In addition to lice removal products, we also offer complete head lice and nit removal services with 30-days guarantee and a free of cost follow up program. If you are not sure whether your child has got lice infestation, you can receive our head check services to confirm the existence and severity of the problem. We also offer helpful guidance and advice in preventive measures so that your child and family can remain free of lice for years to come. The Lice Place makes fighting head lice much easier. We offer guaranteed results and complete eradication of lice and nits in just one session. Being a member of NALPT, we are committed to treat our customers with integrity and are bound by certain guidelines to protect our clients from any potential harm. Order our Dallas Lice Removal Products today. You can also call us at 914-380-1900 if you have any questions regarding any of our products. Our professionals are always available and happy to help.